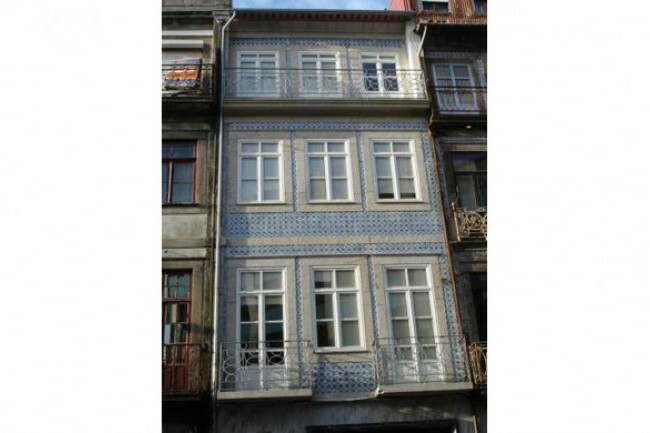 The StayIn Porto studio apartment is located in an historical Porto building with a beautifuly restored edifice. 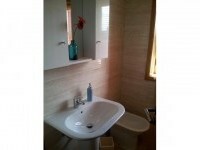 The apartment has been decorated in a fresh and modern way in a homely and inviting manner. 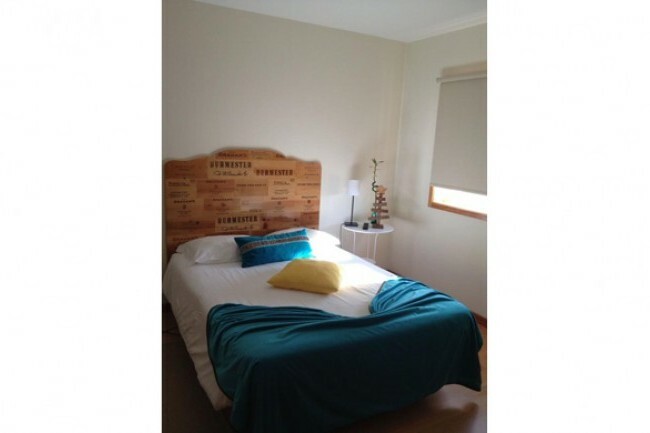 The large comfortable double bed has been matched with a headboard made from old wine boxes. 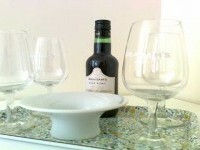 There is a bedside table with a reading lamp, and a full length mirror. There is a small table and chairs for dining to one side of the living space as well as a comfortable armchair for relaxing. 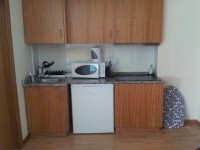 The kitchenette is small yet fully equipped including a fridge, hob and microwave. 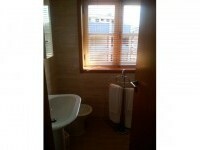 There is a seperate bathroom with a modern suite including a shower unit. 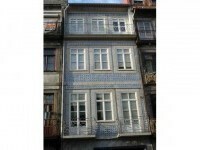 The apartment is perfectly located in the centre of Porto, a great palce to set of and explore the magical and romantic city. If you fancy exploring by bike there are some bikes that can be rented out. 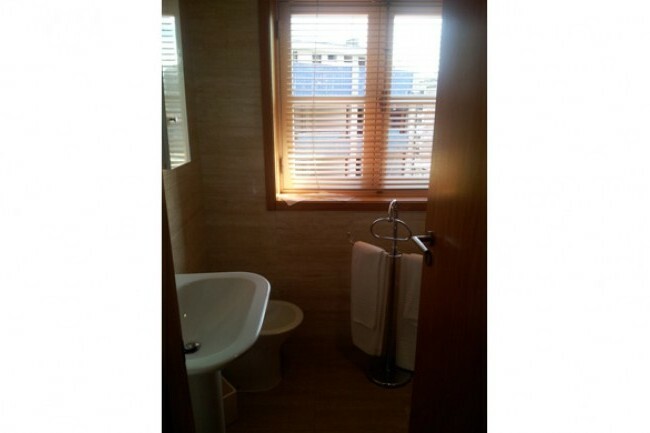 There are several other apartments to rent in the same building, if the apartment is not available for the dates you require it may be possible to stay in one of the other apartments. 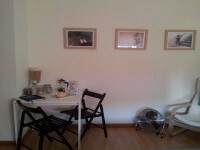 StayIn Oporto Apartment , One-Bedroom Apartments for 5 guests, of which there are 5 in total. 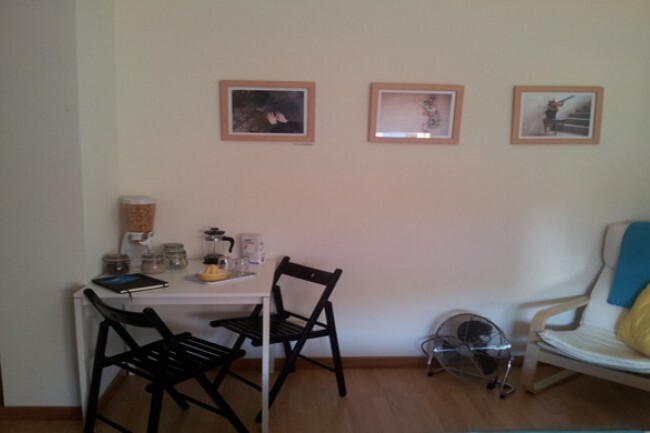 The apartment is located on the Rua Formosa, a street that links two of the most well known avenues in Porto. One of the main streets is the Avenida dos Aliados where you will find the Municipal buildings and the Praça da Liberdade the square famous for its historic cafe's. The other main street, just a 2 minute walk away is the Rua Sá da Bandeira where you will find the famous Mercado do Balhão, a bright and lively market where you will find a vast array of traditional and modern goods on sale. 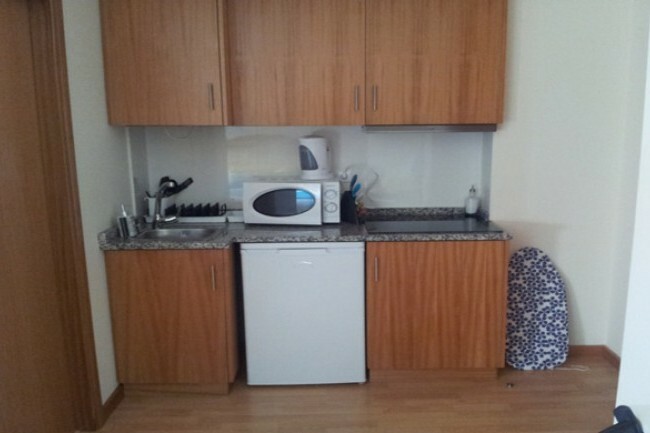 The famous Ribeira, the riverfront area or the River Douro, is around 7 minutes by foot from the apartment. It is here where you will find the colourful medieval architecture and esplanades full of Cafe's and restaurants, where you can relax and watch the traditional boats sale by. It is also just a short walk from here where you will find the Porto night life. 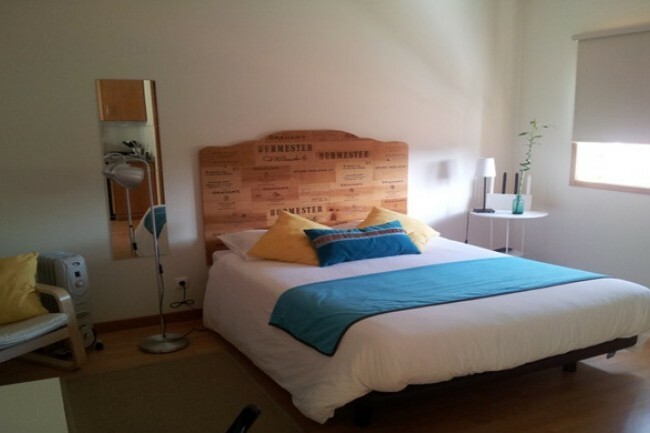 StayIN Oporto is perfectly located just a short distance from many of the main attractions and is perfect for both groups of friends and for families. The Main train station São Bento is just 5 minutes from the apartment. There are also 2 Metro stations near by, the Bolhão and Aliados. For those driving you will find an underground parking station a short distance from the apartment. Very comfortable apartment, warm, clean and well located. 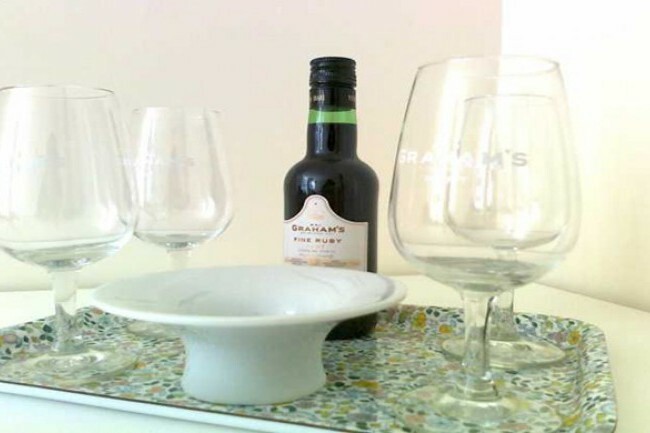 It would be good to have a corkscrew/ bottle opener in the kitchen. Demolition work across the road a bit noisy at present. 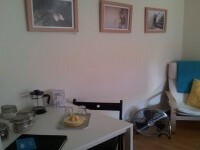 Nice location, very central, but a bit too hot since on the last floor and no air / ventilation in the staircase. 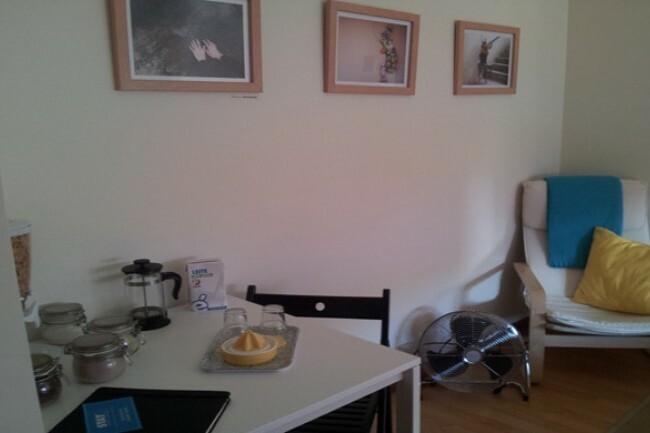 Also no elevator, so 4 floors are difficult to climb with luggages... Quite small studio, without any space for the clothes, no hangers... also crockery very limited. Nice people, warm welcome and nice help for touristic informations. Thank you. 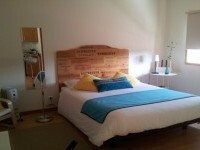 Homely studio apartment in the heart of historical and romantic Porto. 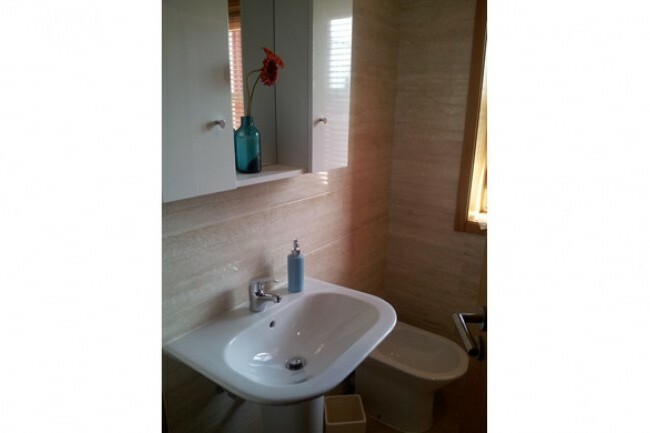 The apartment comfortabely sleeps 2 guests and has been fitted with all the necessaries for a relaxing and comfortable stay including Wi-Fi, fridge and condiments.